2017 will be remembered as one of the best years for games, but great tech and hardware came out as well. Microsoft and Nintendo launched new consoles that changed the way we play. A resurgence of competition in the PC hardware market gave us more performance for our dollar with new tech from AMD, Nvidia, and Intel. Let’s look back at the 9 best gaming hardware launches of the year. Nintendo tried something risky with its console-handheld hybrid, and it paid off. By nature of the tablet design, it doesn’t pack the most powerful specs but the quality of games like Zelda: Breath of the Wild and Super Mario Odyssey prove that you don’t need the best graphics to make the best games. Being able to play these games on the big screen in the living room and then picking up where you left off later on the go is one of the things that make the Nintendo Switch special. If you want the most power out of a gaming console, Microsoft’s Xbox One X largely lived up to the hype. 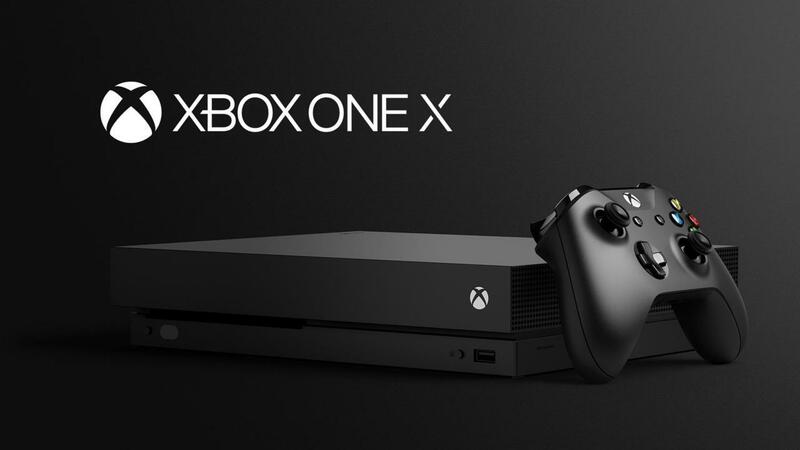 Six teraflops of GPU power translates into much higher resolutions and more detail in games that are enhanced for the Xbox One X. Gears of War 4 and Halo 5 look better than ever running at 4K, and multiplatform games like Assassin’s Creed Origins and Middle-earth: Shadow of War look best on the Xbox One X.
Nvidia’s GeForce GTX 1080 was the fastest graphics card we had ever tested when it debuted in 2016, and it was overtaken by the GTX 1080 Ti this year. It’s based on the same Pascal architecture of the other GTX 10-series cards but it features more CUDA cores, texture units, and video RAM. All of these enhancements make it the fastest consumer-level graphics card and the best option for maxing out PC games out at 4K. AMD inserted itself back into the high-end video card market with the RX Vega 64, an answer to Nvidia’s GTX 1080. According to our tests in our review, Vega 64 runs slightly better at 4K than the GTX 1080, and it did so for $ 50 less when it launched at $ 500. The more affordable RX Vega 56 is essentially a toned-down version of Vega 64, and the card is great for 1440p GPU that bested Nvidia’s GTX 1070 in many of our tests. AMD made a comeback in the CPU space as well when it released the Ryzen series. The Ryzen 7 line topped the consumer-level options with are 8-core / 16-thread CPUs using the new Zen architecture. The mid-range Ryzen 5 family of CPUs soon followed with multithreaded six-core and quad-core options. Lastly, Ryzen 3 offered great entry level quad-core processors. AMD was able to pair multi-core performance previously reserved for workstation CPUs and unprecedented value. Intel also came out strong with their own family of new CPUs. For the first time in the Intel Core lineup, the flagship consumer-level model increased core count by going from four to six (Core i7-8700K). Intel gave a boost to the mid-range Core i5 lineup as well going from the traditional four-core setup to a six-core. With the Core i3 family, gone are the days of settling for dual-core when you’re on a budget now that these cheaper CPUs come with four cores. Nintendo did nostalgia right with the SNES Classic this year, a follow up to the NES Classic that came before it. This cute rendition of the original SNES packed 21 great games from the console’s time in the early to mid ’90s. Super Mario RPG, Super Metroid, Super Mario World, and Earthbound can be played on modern TVs with ease. Star Fox 2 even had its official release through the SNES Classic. If you still haven’t had the chance to play some of Nintendo’s expansive 3DS library, we highly recommend the New 2DS XL that came out this year. It leaves the 3D capabilities behind like the original 2DS, but and adopts the clamshell chassis and larger screens of the XL systems. It’s got a sleek, minimalist design, and packs the enhanced hardware of the “New” 3DS models that some games require. For several years, 4K TVs have been quite expensive, but TCL’s 55P607 proved that you could get an excellent, yet affordable 4K TV. In addition to giving you ultra high definition, the TV does HDR, which makes colors more vibrant and lighting more realistic. To top it off, it’s a smart TV that comes with Roku support built right in and costs around $ 600. Tagged 2017, Best, Gaming, Hardware, Preview, Releases.